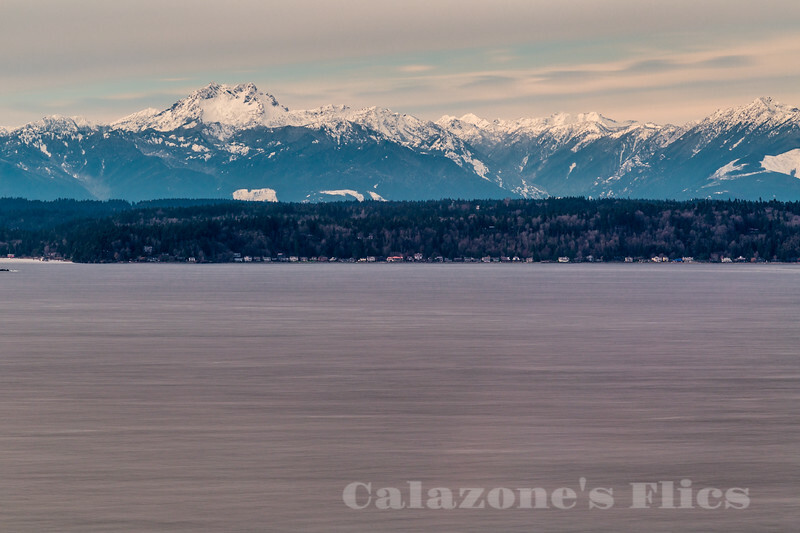 The Olympic Mountains are a mountain range on the Olympic Peninsula of western Washington in the United States. The mountains, part of the Pacific Coast Ranges, are not especially high ￿ Mount Olympus is the highest at 7,962 ft (2,427 m); however, the eastern slopes rise out of Puget Sound and the western slopes are separated from the Pacific Ocean by the 20 to 35 km (12 to 22 mi) wide Pacific Ocean coastal plain. The western slopes are the wettest place in the 48 contiguous states. Most of the mountains are protected within the bounds of the Olympic National Park. The mountains are spread out across four counties: Clallam, Grays Harbor, Jefferson and Mason. Physiographically, they are a section of the larger Pacific Border province, which is in turn a part of the larger Pacific Mountain System.